This Privacy Statement describes how GO Company USA, Inc. and our subsidiaries and affiliates collect, use, share and protect business, financial, and personal information. This statement applies to all information collected or submitted on this website and mobile applications (“Site”). We may collect general, non-personal, statistical information about the users of the Site and our services in order to determine information regarding the use of our Site and general information about our customers. The aggregated data will not personally identify any customers or visitors to the Site. Our Site includes social media features, such as the Facebook Like button, and Widgets, such as the “Share This” button or interactive mini-programs that run on our Site. These features may collect your Internet protocol address, which page you are visiting on our Sites, and may set a cookie to enable the feature to function properly. Social media features and Widgets are either hosted by a third party or hosted directly on our Site. Your interactions with these features are governed by the privacy statement of the company providing it. Our employees, affiliated companies, subsidiaries, agents and third-party service vendors to perform Services related to your account, to offer additional Services, perform analysis to determine qualification to receive future services or collect amounts due. Keeping your information accurate and up-to-date is very important. You can review or correct your account information by contacting a customer service representative. If you have an account at the Site, you can make changes to your account information after you log into the Site from your PC or wireless device and using the online tools. Note that some information changes may be done by or have to be done through your employer. 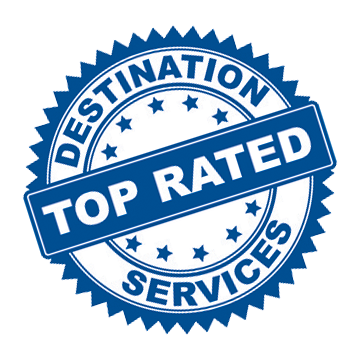 For information about our commitment to protecting the security and integrity of our customers’ information, please refer www.godestinatonservices.com.